The moisture contained in foods is a key factor affecting the shelf life of products. Dehydration of foods makes them dry, which can extend the storage and shelf life of products; on the other hand, products sold in other forms. (For fresh products, canned products and frozen products, etc. ), the storage and transportation costs of dry products are low. In addition, China's current consumer market tends to be dominated by convenient and nutritious foods, and the market development of dry foods will surely receive attention. This article takes fruit as an example to discuss the drying process. 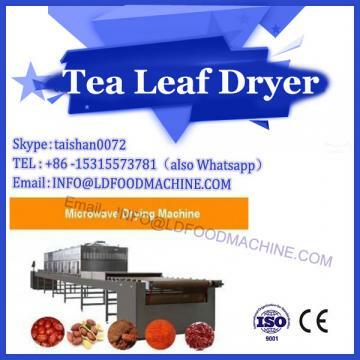 The key to dry fruit production For dry fruit products, thorough drying is of paramount importance. The lower the water content of the final product, the longer it will be stored. However, in order to achieve a balance point of the water content of the product, that is, to achieve the highest possible moisture content, in order to maintain product quality, but also to achieve the best storage period for the minimum water content requirements, the practice of the process is not easily. Dry fruit machine. Drying time control must be accurate to avoid excessive drying time, reduced throughput and increased overall production costs. In fact, from the picking of fruit to the entire operation of feeding the material to the dryer, as well as the dry environment, proper handling must be carried out to produce a quality product. By properly controlling the drying process such as drying temperature, conveying speed and hot air circulation, the desired drying effect can be achieved. Basically, in the first stage of drying, the product is first placed on a conveyor belt in a thin layer of about 2 to 4 hours thick and dried by hot air through the product; dehydration of the fruit is carried out by hot air. The way the product flows up and down is most effective. Since the effect of evaporative cooling occurs at the beginning of the drying process, the drying temperature at this stage is the highest, reaching 10 5°C. In the second stage of drying, the partially dried product will be arranged to a thickness of about 6-8 and delivered at a slower rate. Since the surface of the product has formed a semi-dry state, the surface forms a heat insulating layer, which means that the speed of moisture migration into the product is greatly reduced. 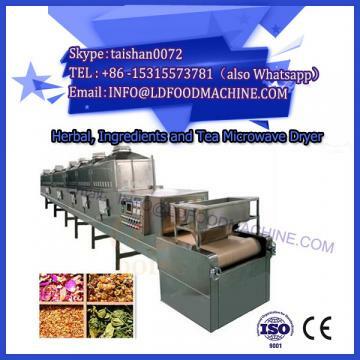 Therefore, the product must be arranged in a deeper and thicker arrangement and dried at a lower temperature and for a longer period of time. As for the third stage of drying, the thickness of the product arrangement should be 10 to 36 hours. Since the product is quite dry at this stage of entry, the required temperature is the lowest of all stages, but the time required is the longest. It is worth noting that in the first stage of the drying process of fruit products, the temperature must not be too high, otherwise the sugar in the fruit will produce coking, which will not only affect the appearance of the final product, but also damage its taste. Since fruit is easily browned by the action of oxidase, many fruit processors add sulfite to inhibit oxidation. However, when these fruits enter the dryer, the residue of sulfite will cause corrosive effects on other substances except for stainless steel after heating; in other words, the conveyor belt in the dryer may be damaged as a result. . Therefore, when designing a new type of dryer, the company chose stainless steel or aluminum steel as the raw material for the conveyor belt to avoid corrosion. On the other hand, applying a protective layer of anti-adhesive food on the conveyor belt can also prevent the product from sticking to the conveyor belt and affect the operation. 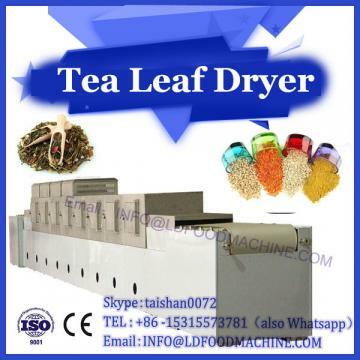 In view of the different characteristics of different foods, the required drying requirements, such as drying temperature drying time, air flow rate, etc., the company has developed a new type of SCF dryer, using a segmented drying process, each The length of each dry area can be changed as needed, and controlled by computer programming, each food product can be re-programmed to ensure that the various products are dried in the most suitable environment. Of course, to achieve a uniform drying effect on all products, this is not only related to the drying temperature, but also to the placement of the product on the conveyor belt, as well as the process of transport.